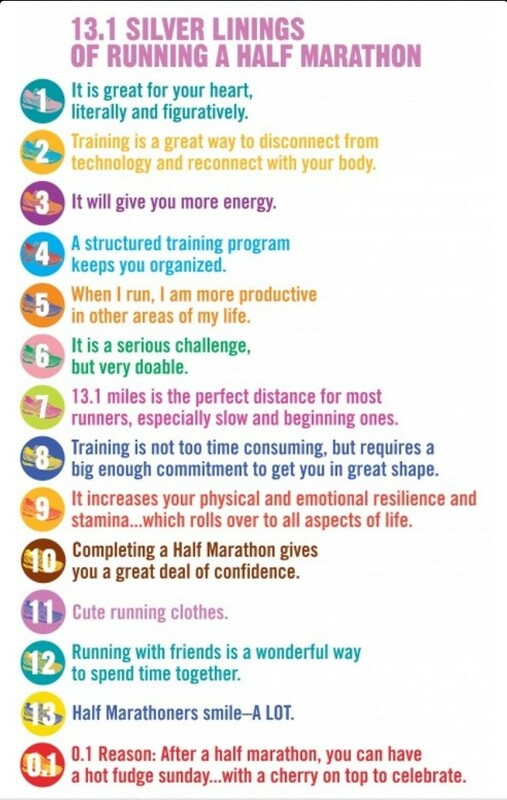 I found this on Pinterest just after I signed up for the Buffalo Half Marathon. I was so excited and motivated, ready for the challenge ahead of me. Now, nearly a month away from the race and 3 months into training, I’ve re-read this list and disagreed with nearly all of it. My disagreement comes from all of the pain and frustration training has caused me in the last month. The reality of running is that it’s hard. No surprise there, but it’s hard on so many different levels that I didn’t even consider once I committed to training. I’ve had painful shin splints for a while now, but they became worse as my distance became longer. I was stubborn and hoped I could remedy it with more stretching and icing, but it became so bad that I was concerned they were actual stress fractures. Please don’t pity me. I deserved it. I headed over to the doctor who wrote me a prescription for an X-Ray to rule out a stress fracture, which is apparently highly unlikely to happen to someone in both legs. phew. He also told me that there was a good chance I couldn’t run the half marathon in May. I spent most of that day crying. I don’t like quitting or failing, and this felt like both of those things. The funny thing about running is that on the surface, it’s an incredibly healthy activity. Your legs are getting strong, heart pumping fast, but nearly every runner has a story about a crippling injury or painful inconvenience. Health at the risk of injury, apparently. My body has also been suffering aside from my shin pain. My weight has been at a plateau since I began training, with a variance of 5 pounds. I understand that muscle weighs more than fat, and so a gain of a few pounds over a week is not something to be concerned about when I’m doing so much training, but my measurements in inches also has not changed. Exercise makes me bloated, which is something that many humans deal with, but it’s frustrating to look in the mirror and continue to be disappointed even after all the hard work. Running is expensive. “Cute running clothes” are great and all, but even something as simple as a running shirt costs way more than it should. Don’t forget the shoes that have short lifetimes, non-cotton socks, headphones that keep breaking, and the incredibly overpriced sports bras. Not to mention the price of the races that us crazy runners sign up for, where $25 to run 3 miles is considered normal. I will admit, most of these races (especially 5K’s) give a large part of the registration fee to a charity, but it still puts a dent in my wallet. Number 8 on this list is the one that I completely disagree with. Running is very time consuming, especially training to run a half or full marathon. Considering the time it takes to properly stretch and hydrate beforehand, run a significant distance, stretch afterwards, eat a meal, shower, and clean up afterwards, a few hours have gone by. Considering I work 5 days a week, those few hours generally are the decision between meeting friends for dinner or staying home on the couch. So what have I learned in all this? Runners are dumb. We subject ourselves to extreme amounts of pain, pay too much money for equipment, and hate injury – not because we’re hurting our bodies, but because that means we can’t run anymore.